I'm in love with these brushes, the quality are great, the bristles are soft and dense which are ideal for light to full coverage application of liquid, cream to powder and mineral foundation. 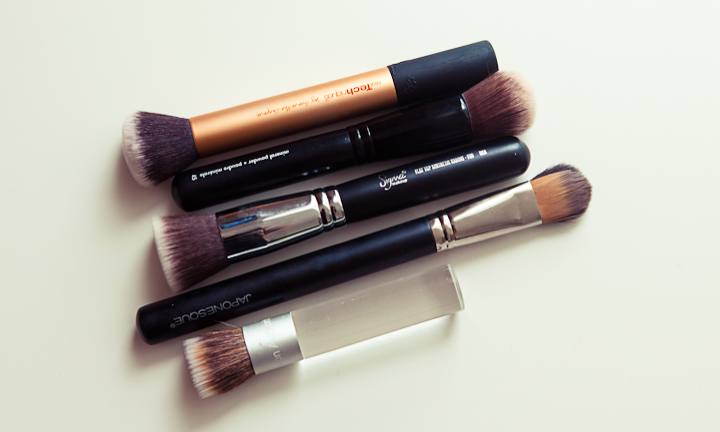 These brushes creates a flawless finish. They're all easy to wash and dries quickly. 2. Sephora Mineral Powder Brush - I also use this for liquid foundation - http://www.sephora.com/classic-mineral-powder-brush-45-P255416?skuId=12005183.